Perhaps it’s not surprising to see in Houston Ballet qualities similar to those of The Australian Ballet. This is in Welch’s blood. I suspect, too, that his Texan audience delights in the way the company dances spaciously, with natural ease and lack of pretension. These are exceptionally attractive traits. There’s no shortage of technical dash but character, presence and skin-bursting vitality are to the fore. Welch honours the traditional classical language but loosens it too so it doesn’t look or feel stagey. Well, mostly. The Friar Lawrence scenes were welcome for giving local audiences a chance to see former AB member Steven Woodgate again but looked rather old-fashioned. The swift, headlong drama of Shakespeare’s play is given full value in Welch’s production and was buoyed on opening night by a full-blooded performance of the Prokofiev score by Orchestra Victoria, conducted by Houston Ballet’s music director Ermanno Florio. Welch is a choreographer for whom more is more and in Romeo and Juliet he uses that tendency to strong dramatic effect. The city of Verona is a robust, busy, lively society with strong, individual women and men always ready for a lark or a fight. The big picture was terrific and given handsome visual appeal by Roberta Guidi di Bagno’s Renaissance-flavoured sets and costumes. Most productions of Romeo and Juliet shorten the list of dramatis personae for the sake of clarity. It’s easier for the audience to grasp who is who. Welch dives right in at the deep end. Shakespeare wrote about “two households, both alike in dignity” – the Montagues and the Capulets. Welch makes more prominent the third house in the drama, that of the ruler Prince Escalus, which includes Romeo’s wild friend Mercutio and Juliet’s intended husband Count Paris. Welch gives Mercutio’s brother Valentine a part and enjoyably includes another of Romeo’s friends, Balthasar. Friar John, bearing the letter to the banished Romeo that goes astray, is also seen in an effective vignette. It takes a little while to sort out who is who but adds greatly to the texture of the story and the stage picture. Welch took out a bit of insurance for Thursday’s opening by fielding all his principal artists bar one (Yuriko Kajiya is Rosaline at some performances). Sara Webb, for instance, took the relatively small role of Romeo’s former love Rosaline and also dances Juliet in this season, as does Melody Mennite, who on opening night was a tavern owner’s daughter. Ian Casady, who is Mennite’s Romeo, was Count Paris on opening night. The lusty, magnetic first-cast Mercutio, former American Ballet Theatre soloist Jared Matthews, also dances Romeo (partnering Webb). 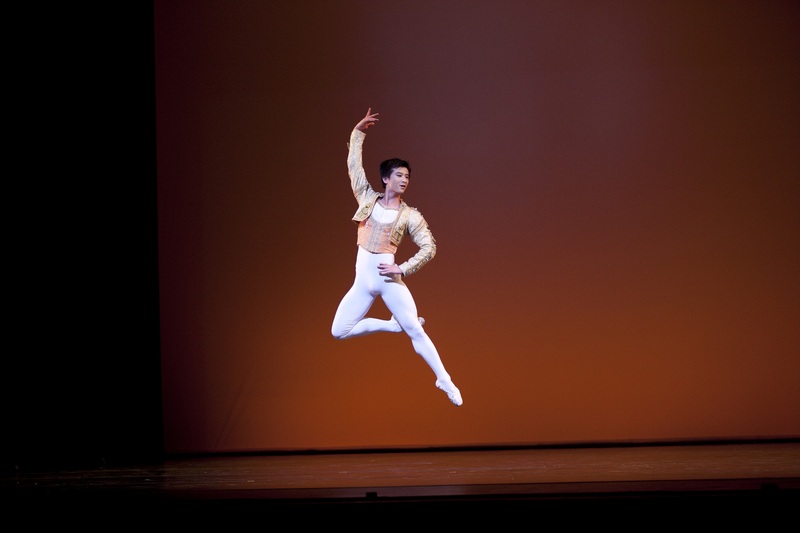 Charles-Louis Yoshiyama, who was promoted to principal only three weeks ago after debuting as Albrecht (he is still listed as a first soloist in the program; that’s how new his promotion is), took the minor role of Gregory, member of the house of Capulet. That said, Welch’s production demands that everyone, from top to bottom, be individual and engaged. The company looked splendid. First-cast leads Katrina González and Connor Walsh were a fresh, glowing pair of lovers most credibly besotted with each other. The balcony pas de deux was rapturous, studded with exciting lifts and catches that Walsh made look instinctive. And why not, with a Juliet as entrancing as González? Her smile almost made Lisa J. Pinkham’s excellent lighting redundant and she has eyes eloquent and beautiful enough to make angels weep. Welch’s desire to keep the action flowing and swelling sometimes leads to an over-reliance on certain surefire steps – the men certainly do many double tours (and do them well) – but the fire and passion make it a very seductive evening. Houston Ballet’s Romeo and Juliet ends in Melbourne July 9. 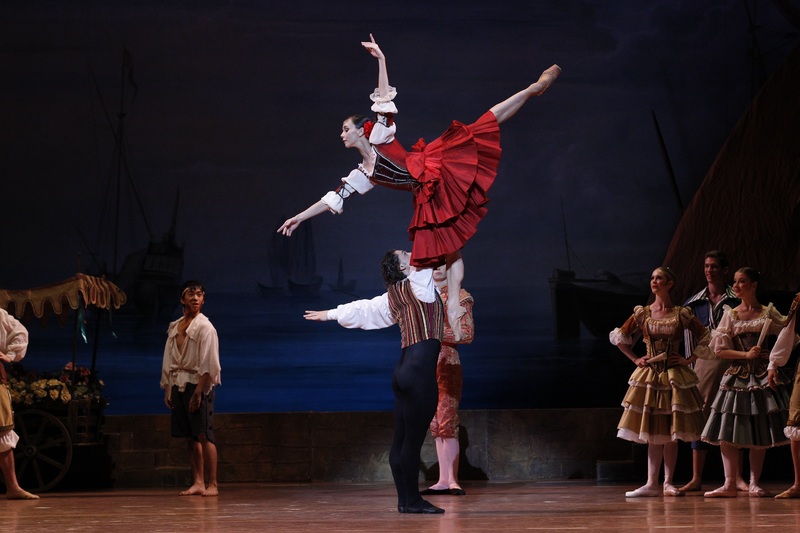 Le Corsaire, May 30; The Bright Stream, June 7. Queensland Performing Arts Centre, Brisbane. 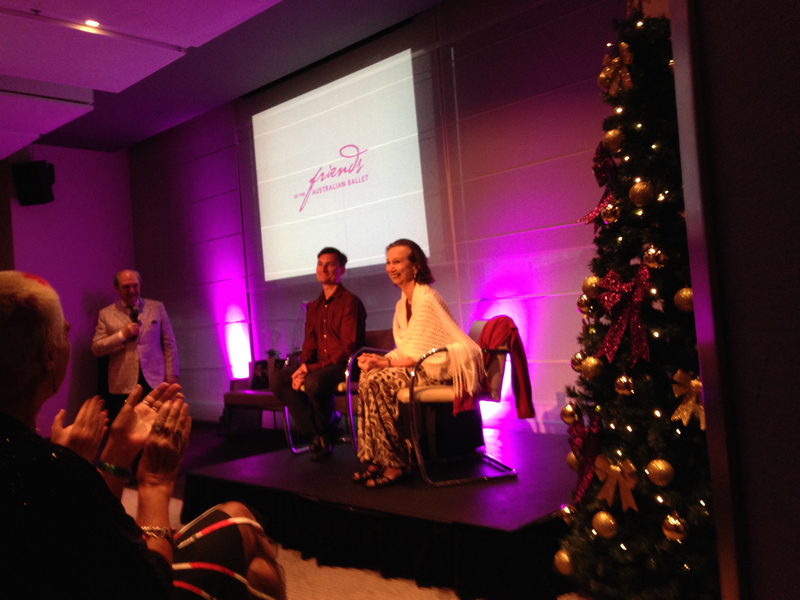 THERE is no more interesting, influential or thoughtful choreographer working in classical ballet than Alexei Ratmansky and Brisbane was fortunate to see two distinctly different examples of his art in its sell-out Bolshoi Ballet season. In 2007, when Ratmansky was artistic director of the Bolshoi, he restaged Le Corsaire with Yuri Burlaka, basing the production on Petipa’s choreography and delving into early sources to provide a window into Imperial-era style and taste in classical dance. In 2003, while still with Royal Danish Ballet, Ratmansky had revived The Bright Steam for the Bolshoi, re-choreographing the comedy to the joyous, neglected score by Shostakovich. The Bolshoi brought both works to London in 2007, where I was lucky enough to see them – Le Corsaire’s Act I Pas d’Esclave was given a mighty jolt by a then very young Ivan Vasiliev; Filin appeared as the Ballet Dancer in The Bright Stream – and both ballets were a good choice for the just-completed Brisbane season for Queensland Performing Arts Centre’s International Series. 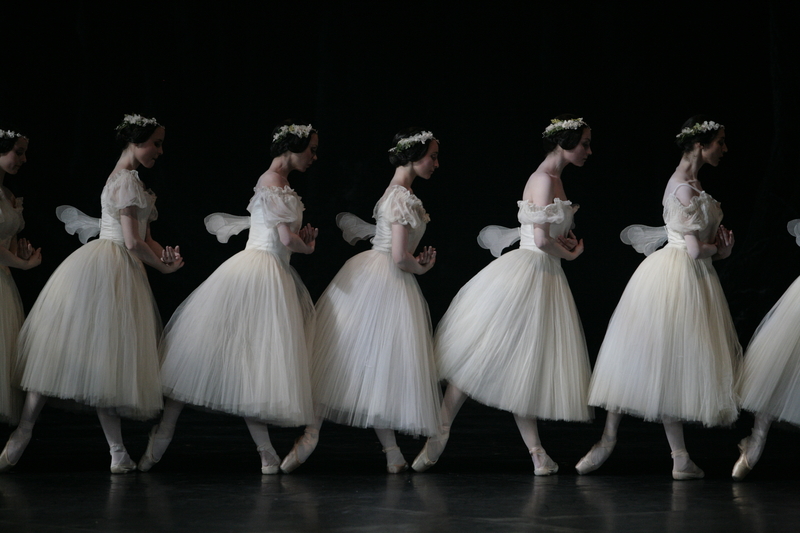 For a company of its size the Bolshoi has a small number of principal artists. There are 148 members of the corps de ballet named on the Bolshoi website but only 10 women and eight men in the top rank. Of the women, four came to Brisbane: Maria Alexandrova and Nina Kaptsova, who appeared on both opening nights, Ekaterina Krysanova and Ekaterina Shipulina. Only two principal men made the journey – Mikhail Lobukhin and Ruslan Skvortsov, both wonderful in The Bright Stream. First soloists Denis Medvedev and Denis Savin also stood out amongst the men. Not surprisingly there was no sign of the outspoken principal Nikolai Tsiskaridze, who has been much in the news giving his views on Filin’s acid attack and on the Bolshoi management. It has just been announced the Bolshoi will not renew Tsiskaridze’s contracts, which expire at the end of June. The Bolshoi’s taste and gift for the large gesture has no better example than Le Corsaire. It isn’t just bolshoi – big – it is gigantic; an extravaganza that sets new standards for going over the top even before you get to the brief postscript, in which a pirate ship on stormy seas breaks in half. The show weighed in at about 3 1/2 hours, came with a cast list that named nearly 50 dancers before we got to the corps, children and supernumeraries, and offered a version of the ballet that harks back to the days when the Russian court was the last word in luxury. Le Corsaire is a mad amalgam of stun-gun and sugar hit and resistance was futile. The house was packed for eight performances. Over the years Le Corsaire has been tinkered with greatly so it’s something of a Frankenstein’s monster of a piece, including using the music of enough composers – seven, headed by Adolphe Adam – to start up their own guild. The result is a feast of melody that was delivered in exceptionally fine form by the Queensland Symphony Orchestra, conducted by Pavel Sorokin. The QSO sounded even better when accompanying The Bright Stream, but no surprise that Shostakovich should trump a stitched-together committee when it comes to a score. The Le Corsaire plot need not detain us long (the synopsis takes nearly 2000 words to explain it) but involves pirates, slaves, kidnapped maidens who couldn’t be more cheerful or compliant, a harem, disguises and that shipwreck. It’s a highly perfumed fantasy that’s happy to deliver outrageous caricatures of Middle Eastern appearance and manners alongside a glittering stream of set-piece dances whose only aim is to delight with virtuosity or vivacity. It’s tutu heaven, essentially, with women plucking an opulent new ensemble out of thin air at a moment’s notice. The tutus, designed by Yelena Zaytseva, using Yevgeny Ponomaryov’s 1899 sketches, were gorgeously detailed and delightfully wide and floaty, with light layers of fabric over a smaller, more rigid base that acted as a support. The logic, if such a word can be used with Le Corsaire, is that of the dream world and of Imperial-era classical ballet. The spectacle is the thing, and nowhere more mesmerisingly than in the lengthy Act II scene known as Le Jardin Anime. A strictly organised garden is a metaphor for the hierarchies of ballet, cascading down from heroine Medora (I saw Alexandrova) and seconda donna Gulnare (Nina Kaptsova) to the women of the generously stocked seraglio. Men are reduced to holding floral hoops in the background while the women – magisterial prima ballerina, lively solo ballerina, demi-soloists and the corps – present themselves to advantage and support one another in the sisterhood with some gentle partnering. The whole ballet could, in fact, be seen as a bouquet to the art of the ballerina – the men’s big dance moments are fleeting. Denis Medvedev gave a bouncy account of the Pas d’Esclave and would perhaps have given a better account of the famous Corsaire solo than did Vladislav Lantratov, who played Medora’s pirate lover Conrad. In this production Conrad, the male lead, gets the showy solo rather than it being the province of the slave, as is frequently seen. Lantratov had a fairly ordinary night at the Brisbane opening, failing to deliver the thunderous impact one hoped for. Alexandrova’s warm stage presence, big jump and her beautiful arms were entrancing, although she didn’t quite scale the heights of grandeur called for in Le Jardin Anime. Kaptsova’s quick precision and spark lit up the stage and the Odalisques pas de trois was illuminated by Maria Vinogradova’s quiet radiance and exquisite line. Not all the dancing hit the dramatic heights one might have anticipated from this storied company, but it was a hell of a show. The Bright Stream is a light-hearted romance set on a collective farm at harvest time and comes with a dark history. The ballet was initially applauded but Soviet authorities soon came down hard on the collaborators. The librettist was sent to the gulag, the director of the Bolshoi at the time was demoted and Shostakovich wrote nothing more for the ballet. The ballet’s front cloth indirectly alludes to this, bearing, in Russian, quotes from Stalin and Pravda’s denunciation of Shostakovich’s opera Lady Macbeth of Mtsensk, “Muddle instead of music”. Near the end of the ballet a man with a scythe appears – not a farm hand, but the Grim Reaper. He doesn’t prevail here, however. In this happy tale he is dismissed. In restaging The Bright Stream with his own choreography, Ratmansky paid homage to those persecuted artists and, I think, to the ordinary folk of Stalinist Russia who lived their lives at that time as we all do: doing our best with the hand we’re dealt, working, loving and laughing when we can. He also refocused attention on a neglected ballet score of extraordinary richness and appeal. Bright brass tones constantly add unusual weight and colour, lush strings herald romance (or the appearance of it) and folk and jazz rhythms add spice to the ever-danceable melodies and Ratmansky is ever alert to the possibilities for illumination of character or comedy. There are shades of the shenanigans of A Midsummer Night’s Dream and the role-swapping in The Marriage of Figaro to add to the magical texture. This is a place where many strange things will happen before the resolution. Intrigues, flirtations, complications, impersonations and disguises rule the day when a ballet troupe from the city comes to perform at an obscure farm’s harvest festival. Through dance full of light and overflowing with joy, everything will be sorted out for Pyotr, a local agricultural student with a roving eye, and his loving wife Zina. The visiting Ballerina and her Ballet Dancer partner (they have no names other than that) may be the catalysts for mayhem but they also find its solution, which features the cross-dressing male dancer on pointe as a fetching sylph. A bicycle-riding dog adds to the merriment. The Bright Stream was stocked with superb dancing that turned on a pin’s head from comedy to rapturous classicism. Even better was the beautifully judged acting from everyone on stage, in big roles and small. Leading the pack at the first performance were Alexandrova’s Ballerina and Kaptsova as a delectably airy Zina, remembering her earlier days in ballet by whizzing though a few sets of fouettes. The first don’t quite come off: Zina feels at a disadvantage, the country bumpkin compared with the glamorous big-city dancer who is incidentally an old friend. Later, when she knows her would-be love-rat of a husband (manly, slightly goofy Mikhail Lobukhin) won’t succeed in his wooing of the Ballerina, Zina can reel the turns off with great elan. The plot required Alexandrova to dress as a man, in which guise she was high-flying and zesty; when dressed in the long tulle skirt of the Ballerina, Ruslan Skvortsov was modest and appealing, his evocations of ballerina roles and demeanour having a sweet air of homage rather than send-up. The Bright Stream had only four performances, and undoubtedly more could have been filled had the ballet been more of a known quantity before the event. Producers Leo Schofield and Ian McRae can’t afford to get things wrong with a venture of this magnitude, however. Better to leave ‘em wanting more. And there will be more. After QPAC’s presentations of Paris Opera Ballet, Ballet Nacional de Cuba, Hamburg Ballet and the Bolshoi comes … Well, the announcement is likely to be made next month. Bravi Schofield and McRae. Versions of the Le Corsaire and The Bright Stream reviews appeared in The Australian on June 3 and June 10.